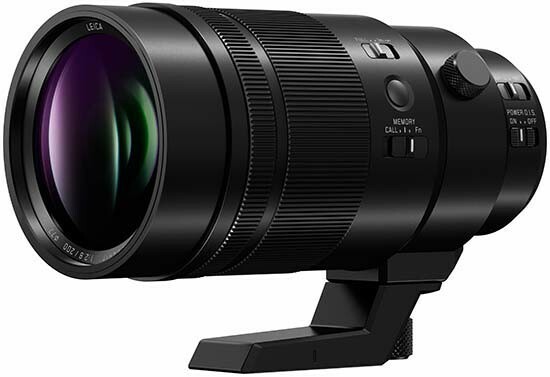 Reviews of the Panasonic LEICA DG ELMARIT 200mm F2.8 POWER O.I.S. from around the web. A 200mm f/2.8 lens might seems a fairly standard offering, but when we consider this is for MFT format and we apply the 2x crop factor, we are left with a field of view comparable to a 400mm f/2.8 on a 35mm-format full frame camera. Fit the 1.4x teleconverter and the resulting 280mm f/4 optic has a “35mm-equivalent” of 560mm f/4, a very exciting prospect. The resulting package is also extremely compact, a fraction of the size and weight of comparable-effect full frame lenses. Coupled up to the Panasonic Lumix G6 camera body used for this review, let's see if this all lives up to the promise.